Funded by a non-profit organization, there have been two stages to this project; the first being tire retaining walls surrounding the school, and the second and current stage of construction, a new classroom and large undercover patio / courtyard space. 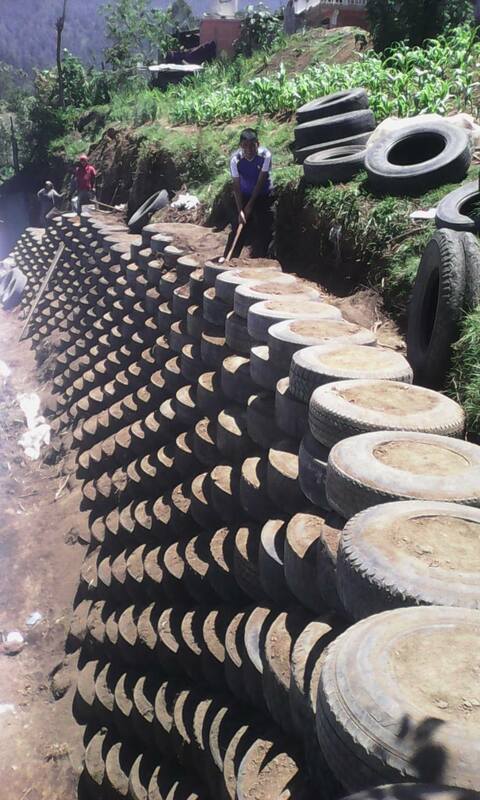 The first stage of works involved demolishing existing walls that were severely degraded, and using only tires, rebuilding and extending them to protect and further reinforce the school grounds. This stage of the project was completed in June 2015, with construction taking less than 10 weeks, and using over 1,600 truck and car tires. 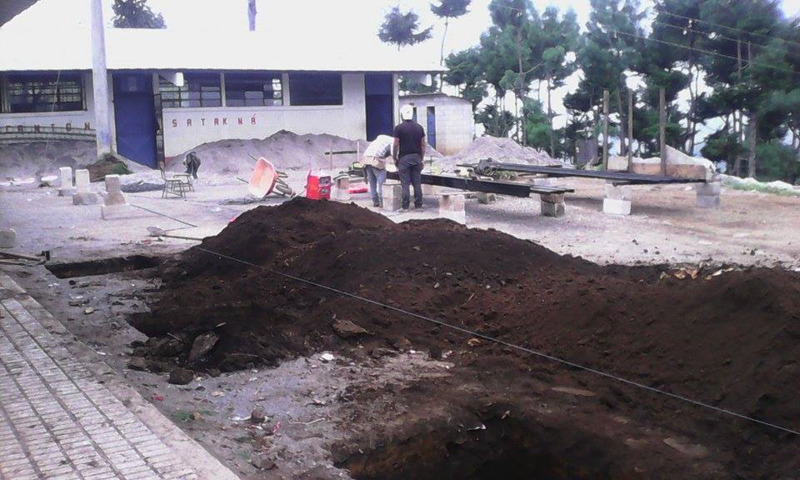 The construction for the new classroom and patio area has just started in November 2015, and is currently at the foundation works and steel preparations for the structures.